RUSH: It was funny. CNN just ran a little graphic up there. 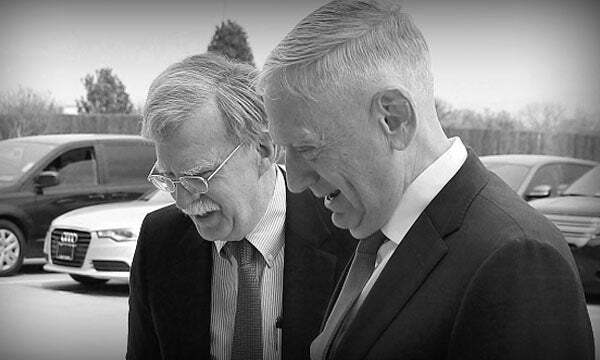 The secretary of defense, Mad Dog Mattis apparently just met John Bolton, and when he met Bolton he said, “Well, people tell me, I hear you’re the devil incarnate.” Bolton is the new national security adviser brought in to replace Mr. Clean, H. R. McMaster. And Mattis says, “I hear you’re the devil incarnate.” Thank you, media. Thank you, Drive-By Media. More character assassination of a conservative.